To be totally honest, I can’t really recall why I sent this recipe to mom almost ten years ago, or why she kept it, but in the way of The Doris Project, a print out of it came back to me in the big bag o’ recipes, and I figured; why not take it out for a spin? 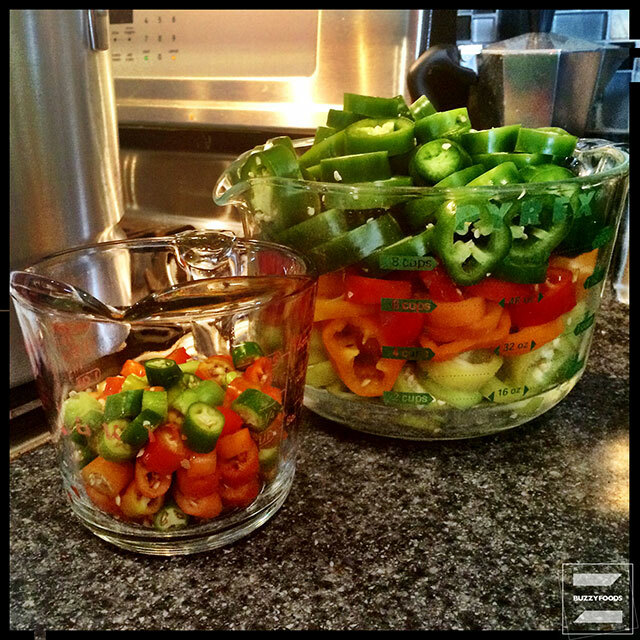 The original recipe (from allrecipes.com) is simplicity itself: assorted peppers, onion, garlic, vinegar, and water. I made a few, small adjustments based on the pepper supply at my market and a comment about adding salt on the original recipe site. The original recipe called for banana peppers, which my market didn’t carry. They did have these beautiful Hot Hungarian Peppers, which I figured would work, but since the Hungarian peppers are a fair bit hotter than banana peppers, I added some sweet red, yellow, and orange peppers into the mix. This brought the overall heat of the finished pickle assortment more in line with folk who’re looking for a tingle, and not something to burn through their tongue. The sweet peppers also added a nice splash of color to what would’ve been a very pale – if tasty – jar of pickled peppers. 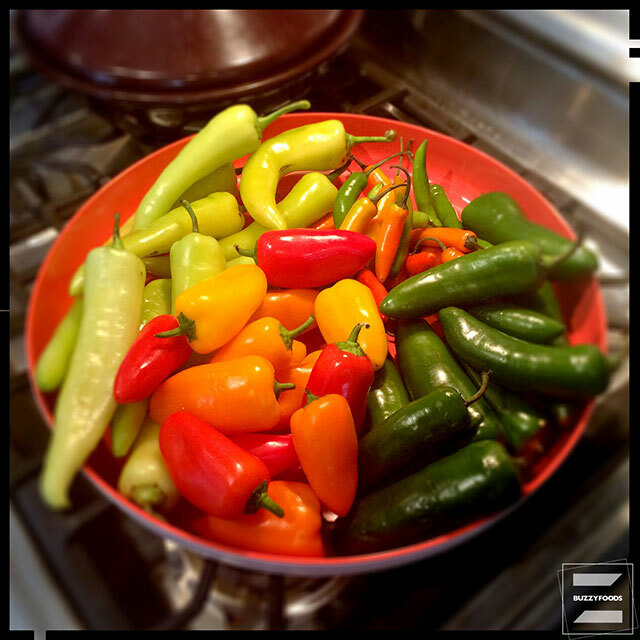 NOTE: before slicing the peppers, be sure to put on rubber gloves. All it takes is one itchy nose or watery eye and you’ll know why. 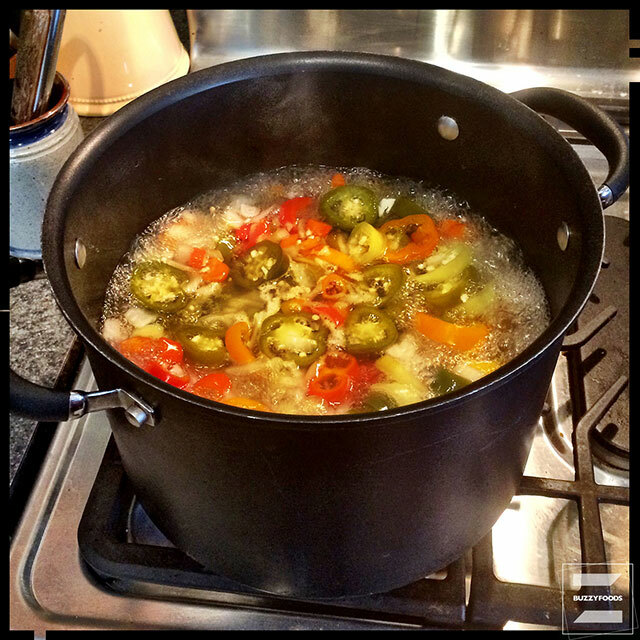 Place the peppers, onion, garlic, and salt in a tall pot. Add the vinegar and water, bring to a boil, and simmer for five minutes. 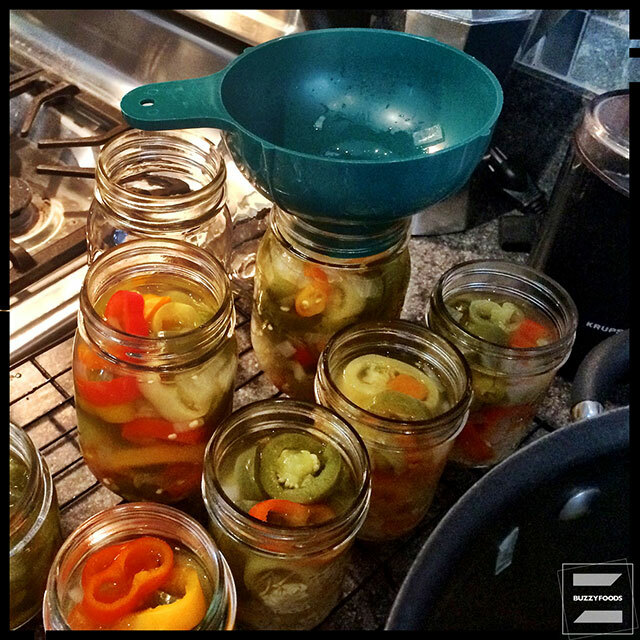 Transfer the cooked peppers to prepared canning jars and process for 15 minutes in a boiling water bath. 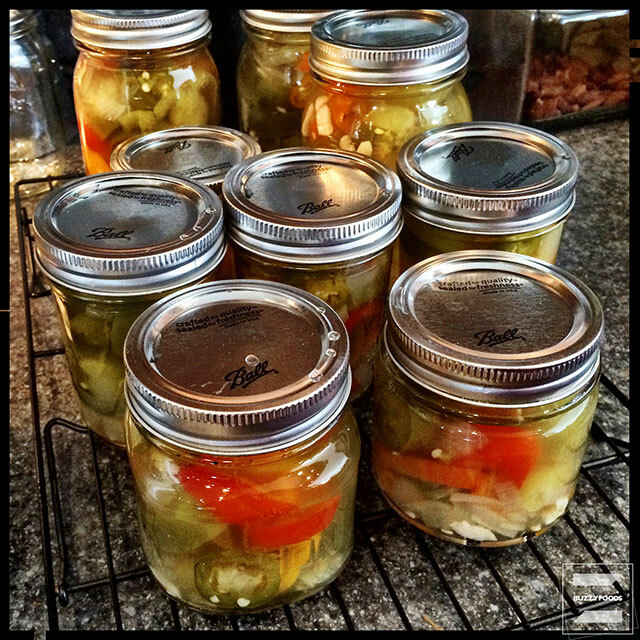 I ended up with a total of six half-pints and three pints of pickled peppers – with just a bit leftover that I stashed in the fridge to sample over some hot dogs we were having for lunch. Nice! Hot, but not too hot, these peppers would work a treat with feta cheese on a Greek salad, over just about any sub or sammich, or howabout mebbe on top of a ‘za with fresh mozz, tomatoes, and basil. Put up a batch this afternoon, then set back and enjoy them all summer long. 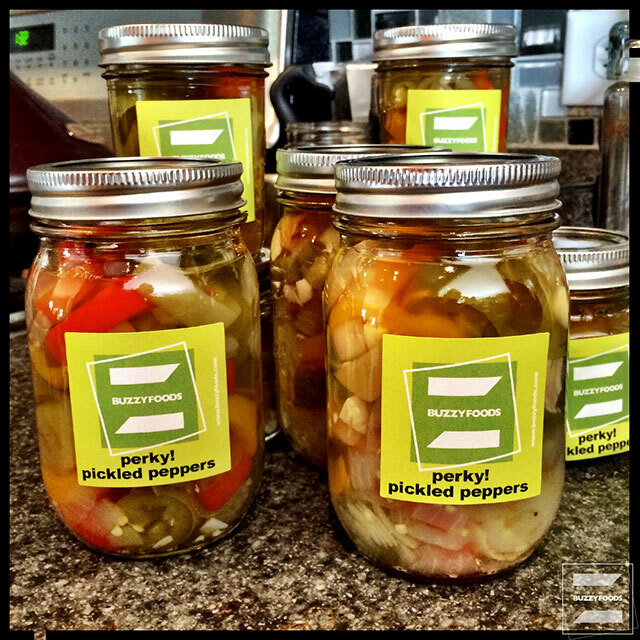 This entry was posted in Pickles, Sauces/Jellies/Condiments, The Doris Project and tagged Hungarian Peppers, Jalapeño Peppers, Pickled Peppers, Pickles, Serrano Peppers, Sweet Peppers, The Doris Project. Bookmark the permalink.